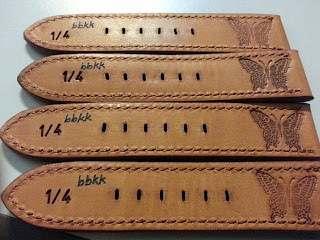 I am waiting on this strap. 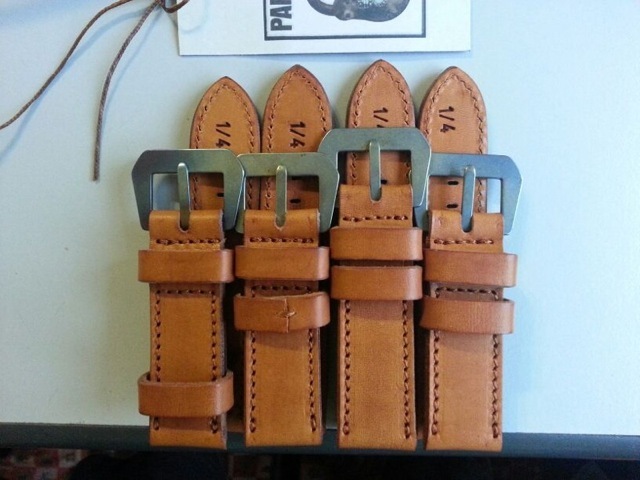 This is a special strap as it started life as a Special Edition strap from Simona or Di Stefano Straps. Along the way, it has been transformed to what it is today. 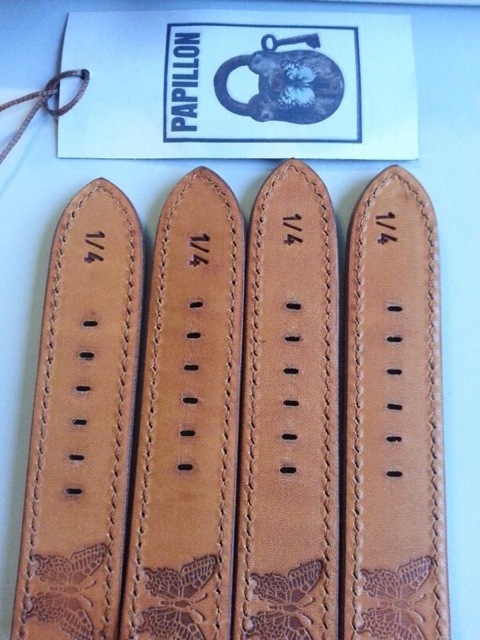 Started life as a special edition Papillon strap. 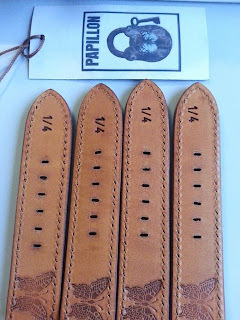 Simona added the 1/4 stamping at the tip of the strap. Why 1/4? Well, there are 4 of us in this small grouping of WIS. 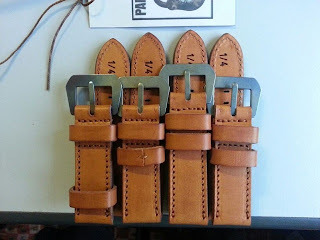 I like the buckle, which is blued steel buckle. The 'bbkk' writing was done locally (not in Taiwan) but Malaysia. bbkk is a group of WIS, 4 of us in the group. We trade information, educate and do all things watches. A small cool grouping. bbkk is actually a Sabahan slang, 'buli bah kalau kau', which in English means 'for you, no problem'.